Daimler says new credit line to replace its $5 billion and 3 billion-euro credit lines before they expire. LONDON (Bloomberg) -- Daimler AG signed a 7 billion-euro ($9.8 billion) credit line to serve as a liquidity reserve. 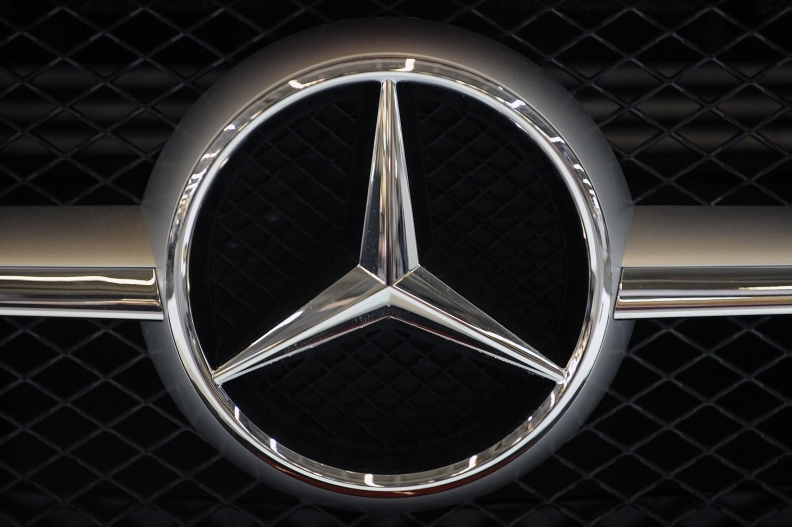 Daimler doesn't plan to use the five-year revolving credit, which will replace the company's $5 billion and 3 billion-euro credit lines before they expire, it said in a statement Tuesday. “With this credit line, we have secured today's favorable conditions for the next five years and have gained a solid liquidity for the long term,” Chief Financial Officer Bodo Uebber said in the statement. Daimler signed the transaction with more than 30 banks after the deal was “significantly oversubscribed,” it said. Deutsche Bank AG, Societe Generale SA and UniCredit SpA coordinated the facility, which pays an initial interest at 60 basis points more than the euro interbank offered rate when it's drawn, compared with a 160 basis-point margin under a credit line it agreed last year, according to data compiled by Bloomberg. A basis point is 0.01 percentage point. Standard & Poor's and Fitch Ratings rank Daimler's debt BBB+, the third-lowest investment grade. Moody's Investors Service rates it a level higher at A3.